New York Gov. Andrew Cuomo (D) said Thursday that the Common Core “is not working” and announced a plan to form his own “education commission” to review the standards initiative and report back to him on how to “fix” it. Cuomo’s announcement accompanied finger pointing on why the grossly unpopular education reform has failed in his state. As Syracuse.com reports, Cuomo laid the blame for Common Core’s failure on the state’s Department of Education – the one state agency that is not directly under the control of the governor’s office. In turn, the relatively new education commissioner, MaryEllen Elia, who replaced Common Core champion John King — now “promoted” to adviser to U.S. Education Secretary Arne Duncan – blamed New York’s Common Core problems on parents and school officials who were proponents of the state test opt-out movement. “A growing chorus of experts have questioned the intelligence of SED’s Common Core program and objective educators across the state have found the implementation problematic, to say the least,” Cuomo added. At this point in time, however, to say that the problem with Common Core in a particular state is “implementation,” is to have missed the elephant in the room. The fact is the popularity of the Common Core initiative has plummeted throughout the nation since 45 states rather abruptly signed onto it to get a quick influx of federal cash. 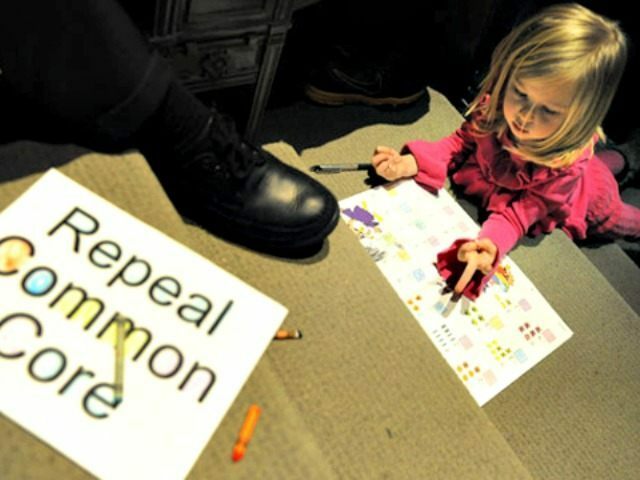 The annual Education Next poll on school reform recently found that national support for Common Core has continued its descent from 65 percent in 2013, to 53 percent in 2014, and now to 49 percent this year. Additionally, the annual PDK/Gallup poll found that 54 percent of respondents opposed teachers’ use of the Common Core standards in America’s classrooms. GOP presidential contender Gov. Mike Huckabee referred to the Common Core label as “toxic,” and former Florida Gov. Jeb Bush just recently termed it “poisonous,” though he clearly still endorses the reform and realizes his support is now a weight around his neck that is contributing to his demise as a presidential candidate. With this kind of national baggage, Common Core is not likely to be “fixed” in New York State by yet another “review panel” that a governor can manipulate to his liking.